I’ve been looking for ways to thicken sauces without flour or starch. This recipe uses onions and cauliflower to make a thick sauce to hold the filling for my pie – and I get a bonus serve of vegetables too! 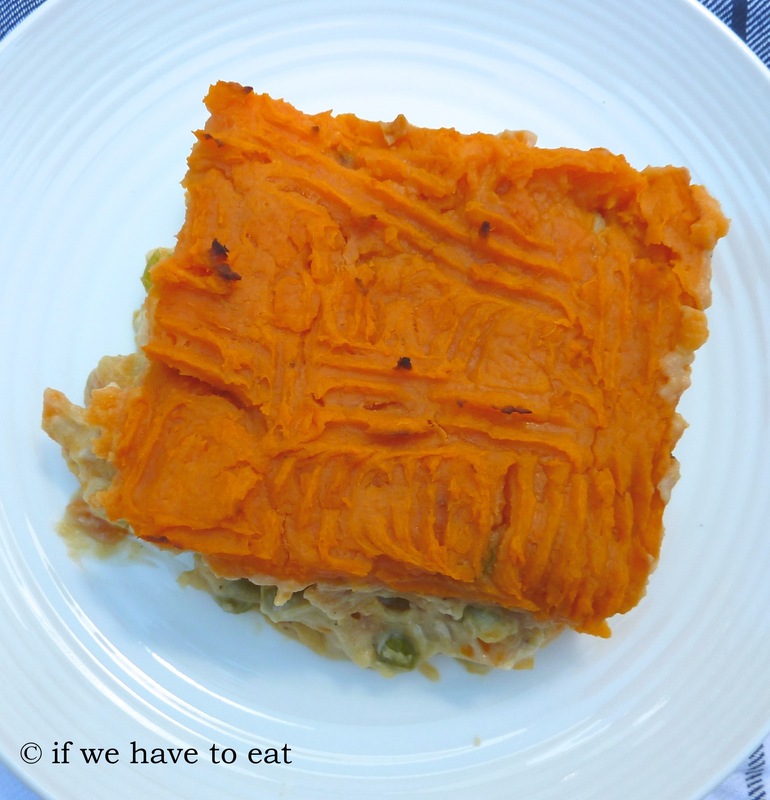 Chicken, peas and carrots are some of my favourite pie fillings and I’ve used a sweet potato mash as the topping. This entry was posted on February 2, 2014 by ifwehavetoeat in Mains and tagged Feed a Few, Mains, Make Ahead, Pie, Poultry, Recipe, Thermomix.